With new developments in genome editing technology, especially the rapid rise of CRISPR/Cas technology, the implications of genome editing in humans have become subject to heated debate. Rumors of genome editing in human embryos by researchers in China have evolved into peer-reviewed publications, and the UK has recently approved the first research license for human embryo genome editing. But how is this technology currently regulated, and what differences exist between countries? What are the implications for research competition, international collaboration, and ethical concerns that span borders? 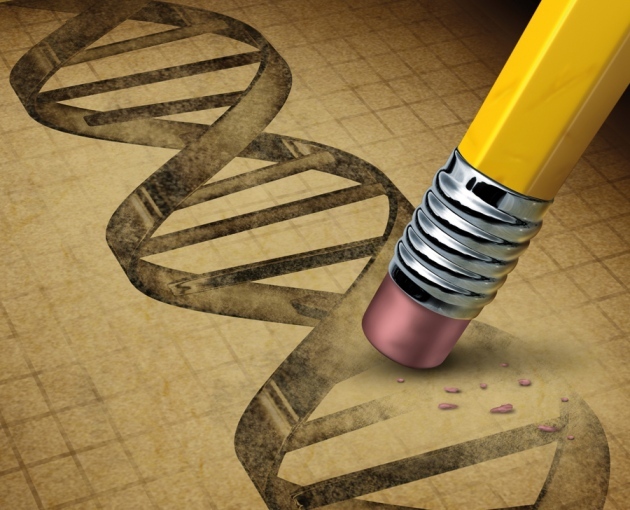 The article compared the regulations governing genome editing technology to several other previously or currently controversial technologies such as pre-implantation genetic diagnosis and human reproductive cloning. The authors suggest that an intermediate approach – neither too restrictive, nor too liberal – is likely appropriate for cautious advancement of the field of germ line genome editing. The most logical manifestation of this approach is not to restrict the technology itself, but rather to restrict certain downstream applications: for example, embryo modification may be allowable in the lab, but implantation of an engineered embryo into a woman for the purpose of carrying it to term is not allowable. In our discussion, one of the biggest concerns voiced was the vagueness of the terms that have been written into policies and legislation governing this type of research, and the fact that the meaning of these terms changes over time, as technology advances. For example, pre-implantation genetic diagnoses are typically only allowed for diseases considered “serious” and “incurable”; yet several diseases that were death sentences just a few decades ago are now completely manageable, if not curable. The regulations provide no metrics whatsoever for quality of life or cost of care, which can determine whether a disease is serious and/or incurable for a given individual. For the issue of germ line genome editing, several countries have added language that is similarly vague in a seeming attempt to exert broad control over misuse of the technology. Examples include the introduction of the phrase “crimes against the human race,” or provisions that “human dignity will not be prejudiced” by the proposed genetic intervention. These terms seem to hearken back to concerns about eugenics, but their vagueness makes them exceedingly difficult to implement or enforce. Even technical definitions such as those defining what constitutes a human embryo are not always made explicitly clear. We discussed whether these policies are written vaguely on purpose – to allow a broad interpretation for regulatory intervention – or merely because the policymakers are not well versed enough in the technical details to be able to articulate finer distinctions. We concluded that in many cases both of these factors are likely playing a role. Alternatively, in some cases these policies may be written before it is clear to anyone – scientists included – what the full implications of the technology are, so policies governing them will necessarily lack specificity. We also discussed whether it is appropriate to institute a shorter lifespan for policies governing fast-moving technologies, such that they must be revisited frequently for revision as the technology advances. This approach might allow, for example, generation of a list of specific diseases whose treatment by germ line genome editing is allowed, which would be updated frequently as the standard of care or available treatment options change over time. However, this of course comes with a significant additional time burden, and is only realistic to implement for a limited number of policies. Overall, the discussion spurred a general interest in learning more about which stakeholders are at the table when these types of policies are being drafted, and how to include more scientists at this stage of policy development. As technology becomes increasing sophisticated, we fear that research will be hampered by overly restrictive policies that result from gut reactions in the absence of a deeper scientific understanding of the technology. We also brainstormed opportunities for scientists to gain greater training in scientific communication with the general public during their doctoral training. We feel that greater communication skills may go a long way towards increasing public trust in scientists and thus fostering greater public support for funding basic research.